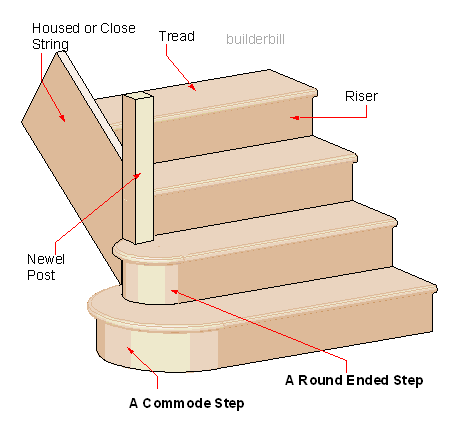 A round end step where the radius of the semicircular end is double or sometimes more than a standard round end step. 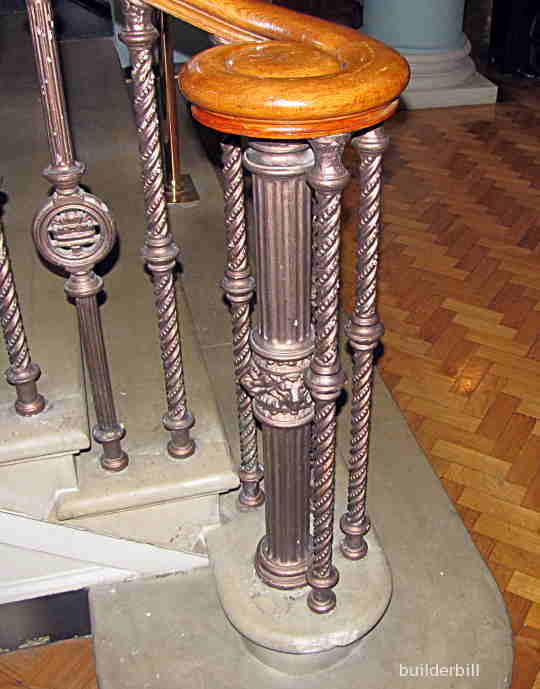 Often supporting another normal radius round end step. This step is just and extension of a simple round end step. The round end is exacly twice the size of the standard round end sat on top of it. Sorry for not getting all the step in the shot, but this shows a standard round end step sat on top of a commode step that is three times the width of a normal step. Quite often this theme is carried on with extra steps that make it pssible to enter and exit the stair from a side.